My 2 year old loves this car seat. It sits high in the car so he can see out of the window really well. It is a bit difficult to install alone. I needed someone to push down really hard to get it tight enough. It is really heavy. I hope this means that it is very protective. ConsCover doesn?t come off to wash. Heavy, so it?s difficult to travel with. We love Clek fllo car seats! Comfy, narrow and customer service is wonderful! I can sit in the back of my Ford Explorer between two clek fllos which is awesome when my kids need or want me back with them. This is by far the best car seat ever. Beware it is a bit heavy in comparison to other car seats. However, who wants a cheap flimsy car seat. The material is very easy to clean - a wet washcloth will clean the seat with minimal effort. The seat also is slim and does not take up a lot of space in the back seat. This is our second Clek Fllo car seat and we are pleased with our purchase again! Was pleasantly surprised to see the manufacture date was just 2 week before we received the order in the mail! Canâ€™t beat the Albee baby price and fast, free shipping. Also, less importantly, the ink color is lovely. 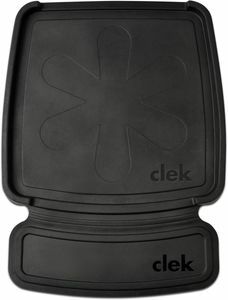 Love the Clek car seat. This was purchased for the grandparents car. We had to purchase 3 due to twins born in 2017. They are narrow and fit perfectly in our car. I absolutely love these seats! I bought 2 for my kiddos and theyâ€™ve been the best car seats weâ€™ve owned. They are trim and sleek & installing isnâ€™t difficult. We love our cleks! The Clek Fllo is soft and comfy for my baby. BUT the main thing is that it feels so solid and safe. Not to mention, it looks very nice. I took 2 3-hour road trips recently with my baby and she was fine the whole time (for the most part, lol). I think this car seat was a big part of her being content for so long. Thank you! It is a heavy car seat so I don't recommend it if you need to switch it between vehicles. However, my son has a lot of room to grow into this seat. The material is also very nice too. I love Clek seats, all my kids have one, and Albee Baby has the best prices I've ever found. Doesn't seem like we'll be able to use it as long as I had hoped. The strap at the bottom is very short...not sure we'll her much use out of this seat. Not sure if we've installed incorrectly, if the product is defective or if the strap is supposed to be so short. We already have a two Clek Fllo carseats for our 4 year old, and we just purchased 2 more for our one year old, who is outgrowing his infant seat. The color name on this seat is appropriate, because that's what we call it -- the Tank. I feel so confident and comfortable having my children in these seats. They are solid and comfortable. We have two cars, and one of them is an older and smaller model than most -- a 2007 Honda Fit. It feels so small now, with our family of four, that I really wanted a strong child seat in there. 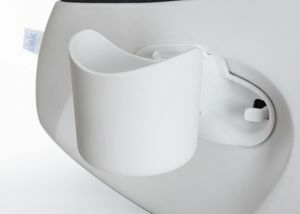 The Fllo gives me the confidence I need that my kids are seated as safely as possible. Note on fit in the Fit: We've squeezed the Fllo in WITH the anti-rebound bar, behind the passenger seat side of the car. It does leave for very little legroom for the front passenger seat (we make it work, but we're fairly short and my husband generally drives the car with the passenger seat empty). However, the anti-rebound bar is optional, so if you left that off I think there would be plenty of passenger seat legroom (well, as much legroom as you'll get in a Fit ;)). Our other car is a Subaru Outback, and these fit great. ProsSolid like a tank comfortably upright, so kids have great view Anti-Rebound bar is a great feature not found in a lot of US carseats less toxic flame retardants than many other brands Can do super extended rear-facing -- make sure you don't exceed rear facing Latch weight (we did at age 3) -- seat belt is actually a better install with this seat, esp for older kids. ConsExtra large size and heavy weight make this seat a hassle for travel. does not fit thru TSA X-ray scanner, so needs to be swabbed at airport. we have the fllo and peg Perego and the peg Perego is much more comfortable for our 2 year old. the seat in the fllo doesn't seem deep enough. the crotch strap doesn't seem to be in a good spot... very tight fit. They are sleek looking and extremely safe. They are thinner/taller than most which is nice for fitting extra seats across and for kids to see out the window. They're comfortable according to my 4yo & they spot wash well. I had this car seat for our first child and knew we wanted the same one for our second as well. One of the longest rear facing seats I've found. My daughter is 2 1/2 (29lbs, 35'') And still very comfortable rear facing. Well made, and easy to install. The only complaint I have is that you cannot remove material to wash, but it spot cleans easily. Otherwise, I've never had any issues with the seat. We purchased this as second car seat for my husband's car, as well as for travel. While it is definitely on the heavier side for traveling, we feel as though it is incredibly safe, which was most important to us. Its design is sleek, and my son appears to be comfortable in it. He likes that he is higher up, and can see out the window! To install rear-facing, the written directions were a bit confusing, but we were able to watch a video from Clek's website, which was more helpful. This car seat will definitely be nice to have as our family grows -- you can definitely fit three of these across the backseat easily. my daughter loves her carseat best purchase I've made when shopping for carseats!!! I wish we would have found this car seat sooner! We have had many car seats, but this has to be the easiest car seat we have ever had to install. We need to fit three car seats in a row and we were easily able to do it with this one. Highly recommend. Love the safety of this seat, and was a necessity after we had twins and a 3 yo. Or at least was cheaper than buying a new car. Sucker is heavy, don't expect to be moving it daily. 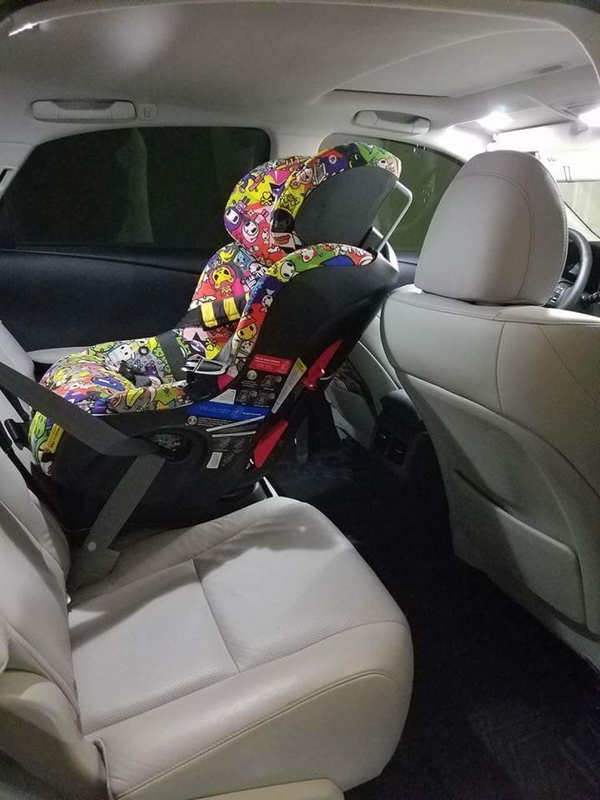 Also isnt quite as easy to put together and install as some of the other new car seats, especially if you are doing 3 across with seat belts. But would still highly recommend if you need to do 3 across and you want the kids to be extra safe. Also love that it will work for the duration of their car seat years and I wont have to fiddle with getting new seats when they grow. Definitely made to last. The Clek Fllo was recommended to us by some of our friends and it met everything we expected. Great car seat! Easy to install and my son finds it super comfortable! I love this car seat so when I had my second child, I knew what I'd be getting once they grew out of their infant seat. The seat is good looking, safest to the highest standards, and overall exactly what I want in my car to know they're safe & sound. Wiping things off is easy, but if your kid throws up, it's not so easy. The cover is apparently very difficult to remove & then put back on (unlike other brands that advertise washable covers). Thankfully the fabric doesn't absorb too much but it took some scrubbing with a wet cloth and lots of airing out to get the smell out. We love our Clek Fllo and Foonf BUT make sure you have the best one for your car! This is a heavy seat and while it took me a bit to install, you can tell how sturdy it is. We have had In the past maxicosi pria and peg pereggo primo viaggio as well as Diono radian. The fllo feels much sturdier than all of these. We installed it rear facing in a Tesla s and it fits perfectly in the middle or the sides. So this is great moving out of an infant seat. My kiddo was all crunched in the bucket, could not move his arms (recently he's really hated it = screaming until we move and he falls asleep). In this Clek, he still dislikes being restrained, but I saw an definite change in that he can look out the window (the kids sit much higher than the other seats we have), and he's well tucked in there (using infant thingy for 15lb 3mo) but the seat is more open - he can move his arms more. Anyway, fabric has a soft hand which is nice and different from our other two seats. Good videos to prep the seat for install. Easy to get the seat in there REALLY tight which I appreciate. I like it so far - it's only been a few weeks. It is heavy, I can't imagine taking this on a plane, but for car use I don't care. Install and finished! My older kids were jealous! The strap pads stop twisting - great. Minor point, but I have a big-bottomed babe and would prefer to install the crotch connector in the outboard position but that does not seem possible with the infant thingy. Oh - and they should include the infant thingy with the seat or price it lower. Love the clek products. They make an incredibly safe product that is also attractive and comfortable. 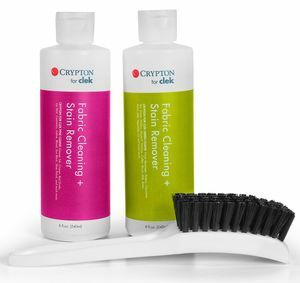 Easy to use, easy to clean, and my kids actually like sitting in them. This is the car seat we bought as our extra one for my husbands truck. Its nice and not quite as massive as other brands however heavy so for travel we have a light weight. My son likes it and feels very nice. Easy to install once get latch system out. We really like it but still prefer the one in my car as main car seat. However nice second car seat! My Honest first impressions:First off I bought two Clek Fllos after lots of research and thought put into it. I previously owned Chico next fit convertable car seats which I was in love with but when we found out baby number 3 was on the way I knew I needed thinner seats so I could fit 3 in a row.I received the clek fllos yesterday and began the install today. The seats look great and high quality, they are heavy and I know they will be safe for my boys. Putting them together and getting the right adjustments took a bit but the directions were easy to follow. I don't think the headrest slides up and down easily and I was bummed there was no rethreading system because my last one had it and that was an awesome feature! The install wasnt as easy as my previous convertible seats and at first I had a hard time getting them snug but with extra effort I think they are good to go. I will likely be looking into getting the clek seat thingy that goes under the seat for an even better fit. So here is to hoping the boys like their new seats. My oldest doesnt seem to mind I'm a little worried about my youngest because its not as reclined in the rear facing position and not as plush as our old one. We have three little ones and we love these seats!! Relatively easy installation compared to our previous car seats. Very comfortable for our little one, and a beautiful design. We can fit three across rear facing in our Jeep Patriot. I have owned several different types of car seats but Clek is by far my favorite. There is a bit of a learning curve involved in the initial set up, but once you learn it, its gold. Easy to get a good tight install. Love! I have tried multiple convertible car seats and this is by far my favorite. I love how how narrow it is, the straps loosen and tighten with ease, the fabric is really nice (it can not be washed but cleans up really nice!). The rebound bar is a great feature! It does back the car seat stick out a little bit more but we have a minivan so we have plenty of space. The price is more than other car seats but I really think it is worth every additional penny! I plan on buying a second for my daughter! I order this because i wanted a narrower car seat without sacrificing safety. I was originally looking at Diono but realized they just made a massive recall. I took a chance on the Clek brand and could not be happier. Its narrow and clean. My child fits perfectly and just looks really secure in it. Highly recommend this seat! The car seat is very stable and comfortable. The space for baby is enough, by the way even in rear facing, the baby can get good sight. We love our Clek Fllo. It was easy to install, only took my husband about 5-10 minutes. We got the Slate color and it looks great. It is also very easy to get my daughter in and out of the car sear. We are very happy with our purchase. I am also always happy ordering from Albee Baby. Fast shipping and products are exactly what are promised. Overall very happy with this purchase! I needed a narrow car seat and this one works great. It's easy to adujust the straps and the seat is very well made. Out of the box it was a little harder than a Chico to adjust the seat to get everything (head rest, straps, est.) into position but the instructions are easy to follow so overall not a big deal. Best UsesFor people that need a narrow car seat...especially a middle seat. 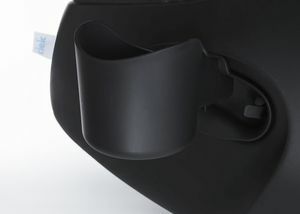 Stylish, fairly compact, well-made car seat with an easy-to-clean material. It's not the easiest to install, and heavier than I expected, so we will probably buy a cheap seat to travel with. The "blue" Ink color is much more of a purple than a blue; if that matters to you, I might get another color. Super safe, easy to install and narrow. My two toddlers love this seat - they sit high enough to see out the window and the seat itself is super comfy. I recommend this car seat to anyone looking for a safe (materials used and impact protection) stylish and easy to use convertible car seat. Love clek because of the easy install and the safety features. Anyone who could give a discount on clek makes it very well worth it. The seat doesn't move at all once installed, forever. This is the second Clek Fllo I have purchased. No major changes, just the design of the guards covering the buckle and straps. My son threw up the second day using the car seat but the fabric is great and easy to clean. Still looks new! 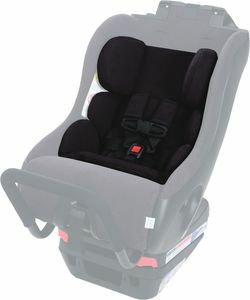 Overall I continue to be satisfied with the product and I feel my children are safe sitting in this car seat. I plan to keep my children rear facing as long as possible. The travel bag is a must if you will be flying with this car seat. We bought this after a car accident, replacing two of our seats, one forward, one rear facing...super easy to install forward, a little trickier but not horrible for rear facing...feel great that my kiddos are super safe in these awesome seats...only drawback is that you can't remove the fabric...that easily...but it's a safer option as far as chemicals go. Very well made, sturdy, heavy (but in a good way).Fabric is soft and easy to wipe clean. ConsVery heavy. Not the easiest to install. Best, safest child's car seat. Awesome seat, nearly perfect. I love the anti rollback bar. The seat is made of high quality materials, and steel! Very comfortable. Rock solid stable when installed, with seatbelt or latch. We also bought a Chicco Nextfit, I wish we bought 2 Fllos. The Cleck Fllo is what I would recommend to any parent. ProsAnti rollback bar. Made with steel. Solid, stable, secure. Made of high quality "automotive grade" materials. A no compromise safe seat. Kids like it. Fits three across in our car. I love this car seat. It seems so sturdy and safe. The seat belt install wasn't bad..and I'm glad they changed the crotch protector from that stupid circle version! This one is much easier to get to. My daughter loves the toki doki print too! Love the quality & safety features! I absolutely love that this carseat allows rear-facing to either 50 lbs or 43" standing height. I also love that it's a narrow seat which makes 3 across easily doable as well as comfortable for passengers next to it. A great feature that not many other brands have is that it has an antirebound bar. My only gripe would be the weight of the carseat; it definitely should not be a travel seat. We took it through the airport on the go go babyz travelmate deluxe, wheeled it down the aisle of the plane with ease but carrying it and installing it on the plane was crazy tight. Not to mention it doesn't fit in small cars well especially when you have to install it more upright which isn't ideal if your kid still sleeps in the car. Other than it not being a good travel seat, I've still recommended this seat to ppl with roomy cars and those friends loved them. Absolutely love this car seat! Sleek and safe! I originally ordered a Clek Fllo because I need to fit 3 seats (two convertible and one infant) in the back seat of my Honda CRV. This seat is one of the narrowest available at only 17" wide. I installed the Fllo without the rebound bar because of space issues - with the rebound bar attached, front passenger would have little leg room. My daughter likes riding in it because she can see out the window really well - the Fllo puts your child up high. It is easy to install once you've done it a few times. I really like the seat belt lockoff - it makes the seat super stable. I liked it so much I ordered a second Fllo for my other daughter to use front-facing. Will never buy another car seat! We are on the Clek bandwagon and there's no turning back. Sleek design. Awesome colors. Super easy and snug install. But most importantly-- safety safety safety. Published crash ratings. And no chemicals on fabric. I'm sold. Just bought 4! Thank you Albeebaby. Great service. NEW for 2017: New and improved crotch pad. 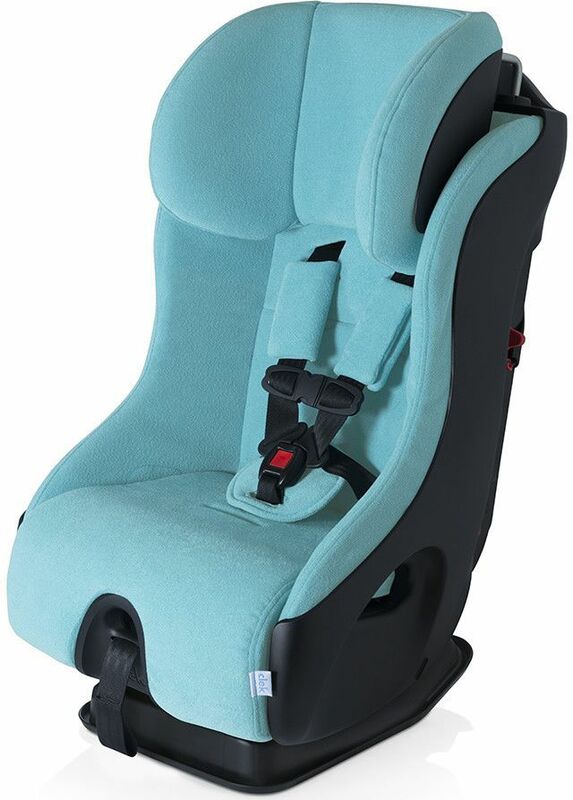 Steel Anti-Rebound Bar: Fllo comes with a Steel Anti-Rebound Bar, which improves stability by limiting rotation of the child seat, helping protect your child’s head from impact in the event of a collision.